Two members of our community will become ELCA Rostered Diaconal Ministers at 1:30pm on Saturday, April 30. We're hosting Ross Murray's and Abby Ferjak's Consecration to the Public Office of Word and Service Ministry at 1:30pm on Saturday, April 30. The Rev. Dr. Robert Alan Rimbo, Bishop of the Metropolitan New York Synod (MNYS) will preside and Pastor Barbara Lundblad will preach. ELCA Rostered Diaconal Ministers are called to ministries of Word and Service after approval by the ELCA. Ross Murray’s call is issued by MNYS to his position as GLAAD's Director of Programs, leading programs that aim to build support for LGBT equality across the globe and accelerate LGBT acceptance in the U.S. South by sharing culture-changing stories of LGBT people, families, and allies in regional, national and international media. Abby Ferjak's call is issued by the New Jersey Synod to her position as Staff Chaplain at The Valley Hospital in Ridgewood, New Jersey. 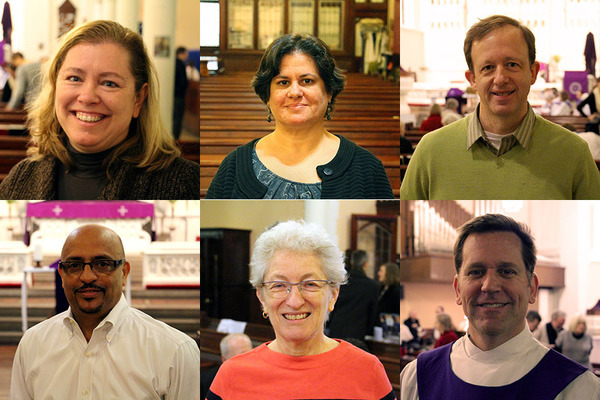 Their ministry and leadership as ELCA Diaconal Ministers enhances the witness of our whole church. We are happy to share this worship celebration with them. All congregants and friends are invited to join this public worship of consecration. Our Congregational Self-Study online survey is still open, with improvements to its clarity and ease. You're invited to complete a short survey about who we are as a congregation. This survey will help our Self-Study Task Force complete our Ministry Site Profile, the primary document potential pastors will receive to learn about our church during the call process. Please take a couple minutes to complete this survey online using the button below. A few people reached out to us last week about experiencing issues with completing the online survey. If you did, we encourage you to please try again. We have updated the survey's directions to be clearer and easier. Still, we recommend reading them carefully. Paper copies will also be available in both English and Spanish at worship and in our office. You can also complete the online survey in Spanish. The survey will remain available for your response until Tuesday, April 19. A meeting for the congregation on Sunday, April 24 at 10am in English, and in Spanish after 12:45pm worship. We adjourned our 2016 Annual Congregation Meeting with a great deal of exciting changes and challenges ahead in this time of transition. The Congregational Council heard the request of members for more frequent updates throughout the year. 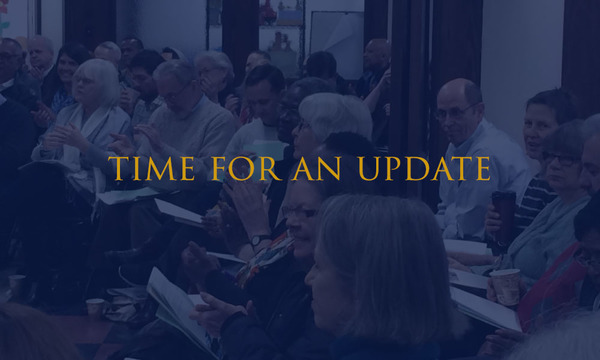 On Sunday, April 24 the congregational update will focus primarily on our financial matters, providing information related to the current budget and special accounts. There will also be a brief update on the Call Process and from the new Financial Stewardship Task Force. Our former pastor, Rev. John T. Halborg, was laid to rest on Thursday, March 31. Pastor Halborg served at Advent Lutheran Church from August 1965 to September 1978. 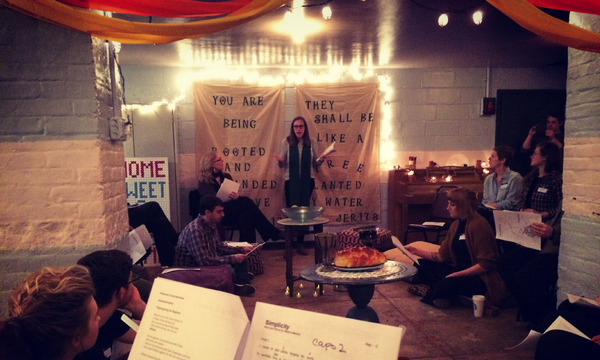 Under his pastoral care the congregation moved to weekly celebration of Holy Communion and the congregation engaged in political meetings, interdenominational discussion groups and events benefiting the local neighborhood. After tendering his resignation, he later went on to become a Roman Catholic priest who served as Pastor at Our Lady of Victory, Mount Vernon and St. Thomas More Church, NYC. Mass of Christian Burial was held at St. Margaret of Crotona Church, Bronx, on Thursday, March 31, at 10am with interment at St. Raymond's Cemetery. The Advent Abiding Memorial Fund is used to purchase worship supplies and specials items identified by the Altar Guild. Pastor Halborg's love of liturgy makes a gift to this fund an appropriate way to honor his ministry. Gifts can be mailed to our office, placed in the offering plate clearly marked "Abiding Memorial in honor of Pastor Halborg," or made online using the button below. 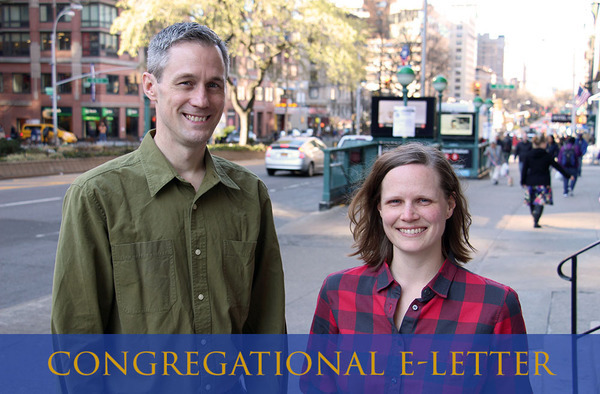 In April our Mission Envelope will support Lutheran Ministries in Higher Education and its two ministries for college students in NYC: The Vine NYC and LaMP. These new, growing programs are reaching college students--and engaging them in community and faith--in fresh and exciting ways. This Sunday you'll have the opportunity to hear more about the ministries of The Vine NYC and LaMP during our Mission Moment in worship. Gospel Text | John 21:1-19: Jesus appears again to some of the disciples beside the Sea of Galilee, and has an important conversation with Peter. We are seeking a new Officer Administrator to start at the beginning of May. Please help us find the right person to support our ministry in the office by sharing this email with anyone you know who might be a good fit. The Office Administrator is responsible for the smooth functioning of the Advent office, providing support to the Senior Pastor and coordinating financial management, administrative office work, facilities management and scheduling. To see the full job description, click below.